There are number of reasons why you may have been facing WhatsApp no notification problem, these reasons includes unreliable internet connection, data restrictions, outdated app, app cache problem and various firmware problems. However all these problems can be fixed and Whatsapp notification problem can be solved. Follow the methods given below in order to fix your problem. One of the most common problem when it comes to any web app is having a slow or unreliable internet connection. Weak connectivity often leads to frequent disconnection and trouble while displaying notification on both iPhone and Android. So the very first thing you must do is check that your internet is not limited and its working properly. If you are on data then make sure there is good 3g/4g coverage available in the area and if you are using Wi-Fi then make sure Wi-Fi symbol on status bar don't have exclamation mark on it. You can always restart your router if something is not right with your internet. Step 1: Open "Settings>Connections>Data Usage" on your smartphone. Step 2: Now Select "Wi-Fi data usage" and then select WhatsApp. Step 3: Make "Allow background data usage" is enabled. Press and Hold "Side button/ Power Button" for some seconds until power off slider appears, then slide the slider to right and wait till its off. Once it's off press and hold "Sleep/Power" button again for some seconds until iPhone boots up back again. Press and Hold "Power" button for few seconds, a menu will pop up. Find and tap "Restart", alternatively you can hold "Power" button until your phone shut downs and then hold it again for some seconds till it boots up. Step 1:Open "Settings" on your Android phone. Step 1: Open WhatsApp on your phone. Step 2: Open "Settings > Notifications". Step 3: Finally, turn on "Notification" toggle. Step 1: Open "WhatsApp" app on your Android device. Step 2: Now, tap "Menu" icon having three dots on top right and then open "Settings". Step 3: Tap "Notifications" and then tap "Menu" three dot icon once more and finally tap "Reset Notifications". Step 1: Open WhatsApp Web application on computer you are using it. Step 2: Click "Menu" button with three dots icon on top right. Step 3: Click "Logout" from the menu. Step 1: Tap and hold "WhatsApp" app icon on homescreen for few seconds, it will start to wobble. Step 2: Tap "X" icon on top right of app icon, it will delete the app now open "Appstore" and tap "Search" icon from bottom and type "WhatsApp". Step 3: Now tap "Get" button to install the app again. 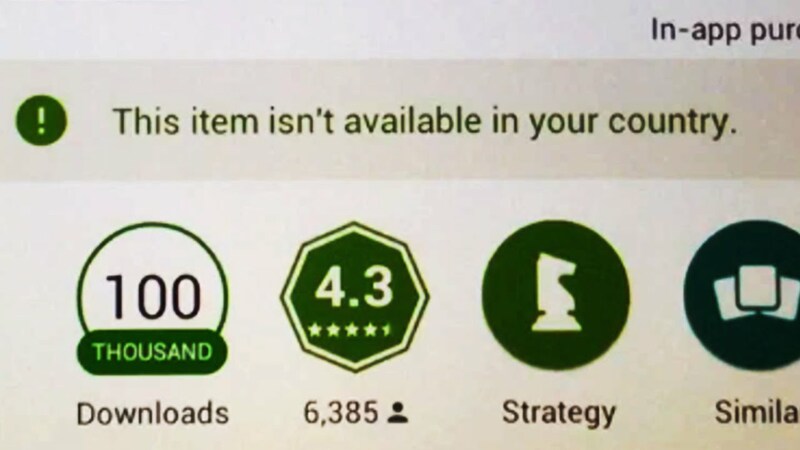 Step 1: Open "Playstore" on your phone. Step 2: Search for WhatsApp by typing in search bar. 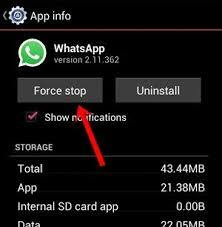 Step 3: WhatsApp icon will appear on list with "Uninstall" button tap it, once the process is complete, "Install" button will appear instead now tap that. Step 2: Tap "General" and then tap "Software Update". Step 3: Finally tap," Download and Install". This option will show up if any updates are available. Step 1: Open "Settings" on your Android device. Step 2: Tap "About Phone" from the menu. Step 3: Finally, tap "System Updates". 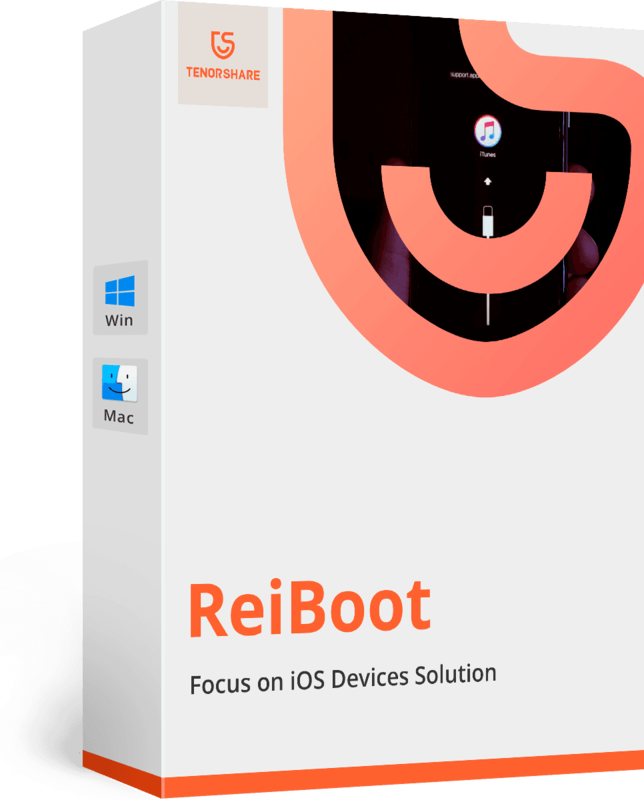 If nothing works from above given solutions then we recommend you to use iOS Fix Tool ReiBoot, it is an awesome all in one stuck repair program. Tenorshare ReiBoot is an awesome tool capable of fixing all sorts of stuck issues on iOS, it can repair app stuck problems and also provides easy fix for critical iOS issues. The best thing about this tool is that you can use it without any data loss. It will keep you data safe and secure, it can fix DFU stuck, recovery mode stuck, update stuck, loading screen stuck and problems like can't connect to iTunes etc. It also provides one click solution to enter and exit Recovery mode instantly on iPhone. We have listed some of the best ways to fix notification problems for WhatsApp on Android, these methods vary from simple to advance and deals with all commonly known culprits. These solutions are reportedly working for many users and there is no reason it won't work for you. We have also recommended our personal favorite tool to take care of stuck issues on iPhone without any data loss at the end. Repair Various iOS System Problems like recovery mode, screen won't turn on, Apple logo etc.